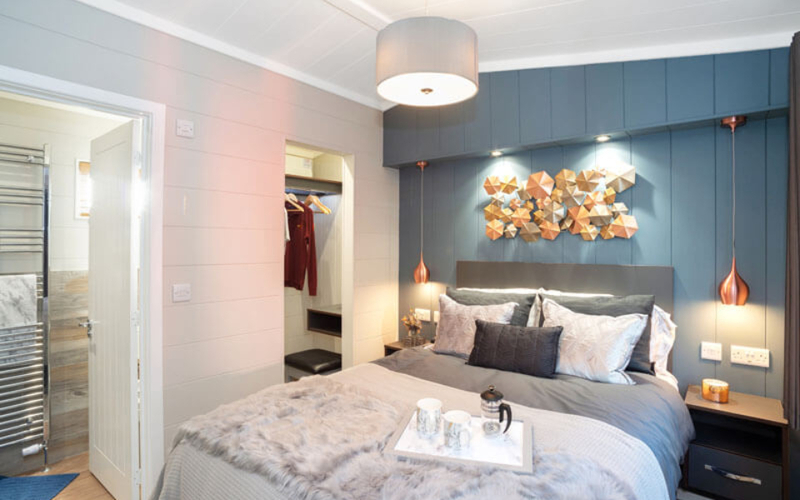 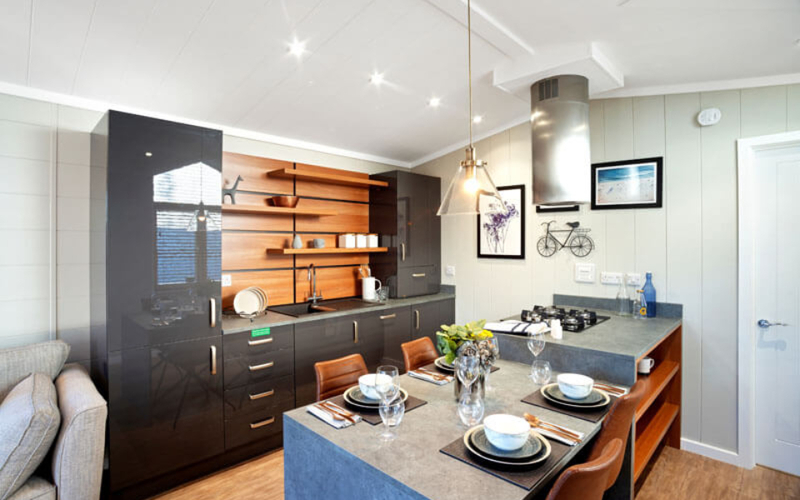 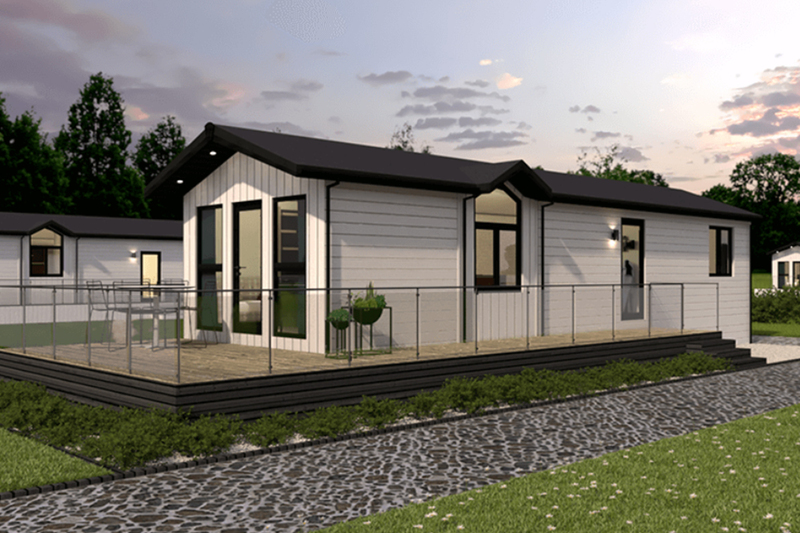 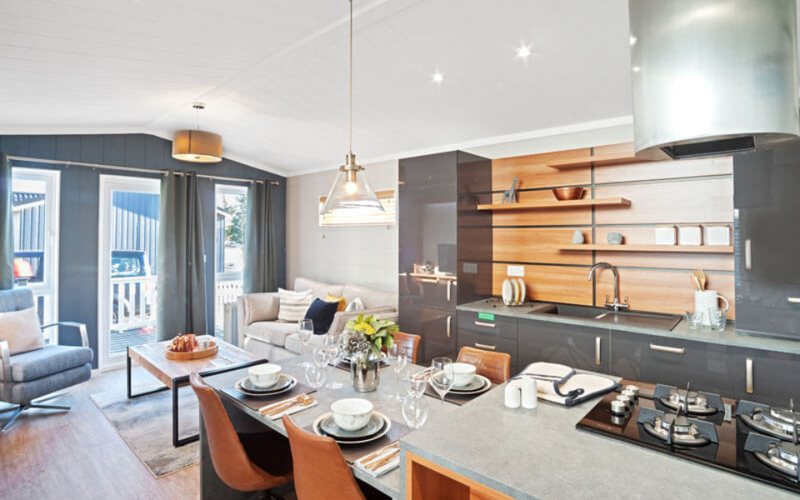 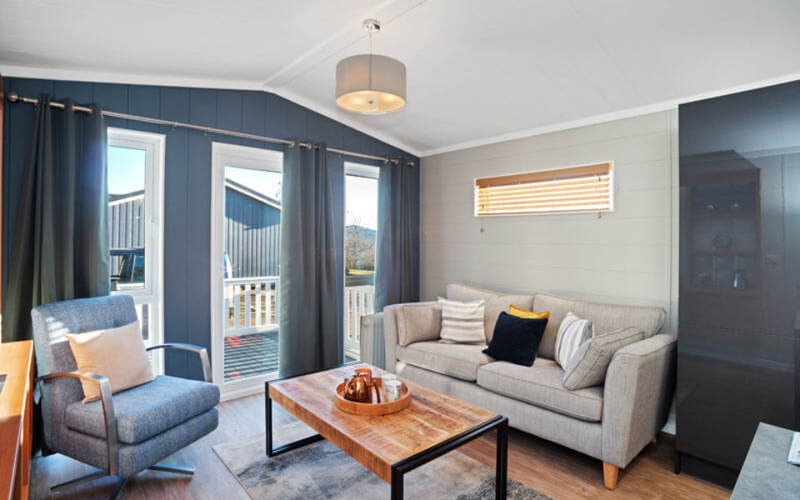 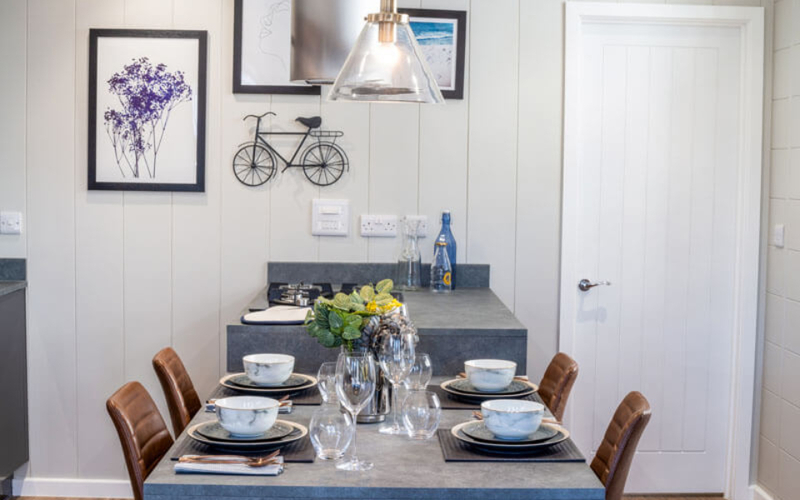 The Savannah holiday lodge offers luxury lodge design, superior build quality and high-end interiors within a static caravan sized footprint. 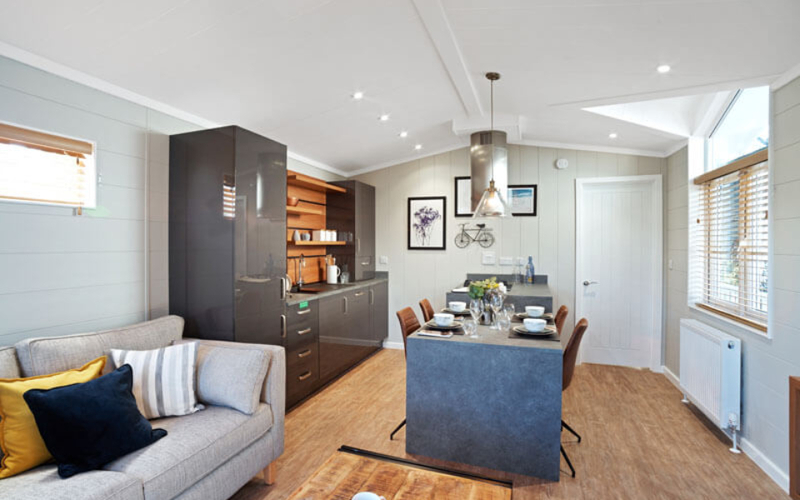 The Savannah centre lounge layout includes two bedrooms each with en-suite. 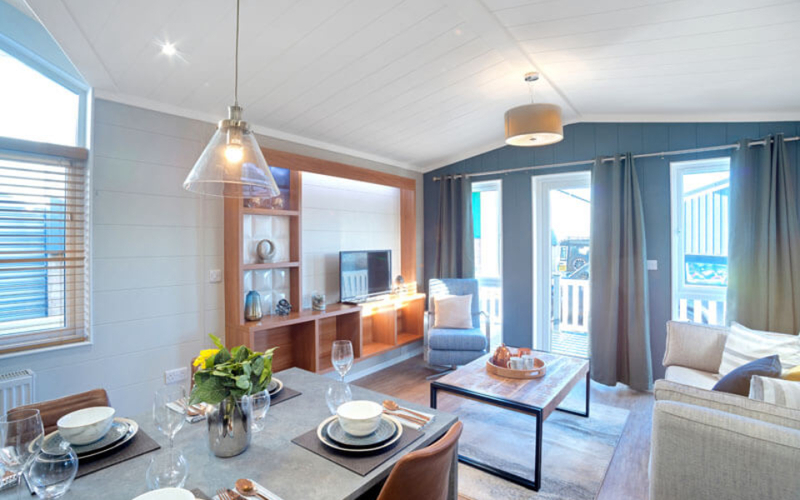 The spacious open play living area is the perfect space for entertaining with a large corner sofa and kitchen/dining area. 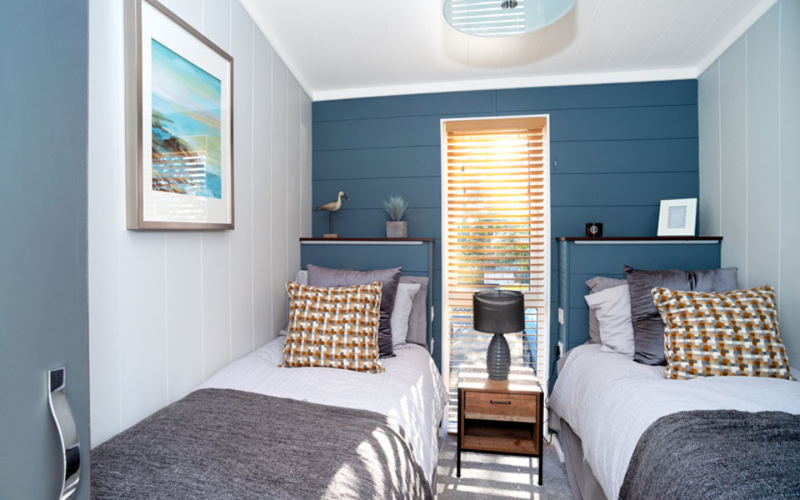 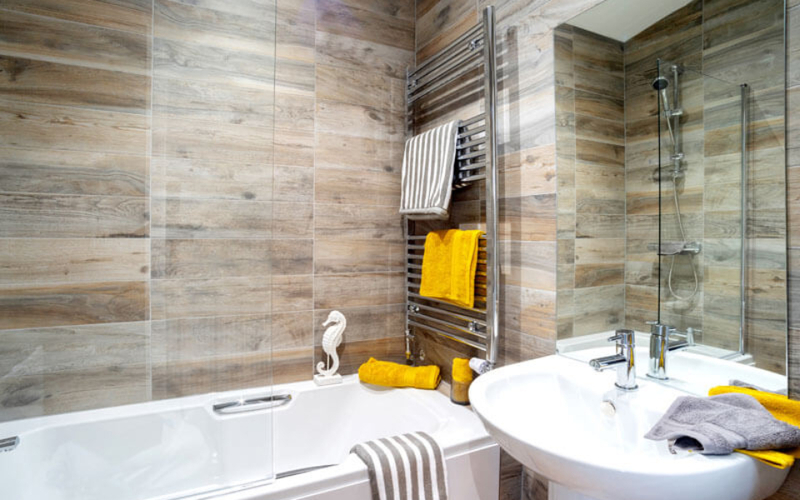 The Savannah is available in Coastal and Woodland themes.